The other reference is Miyamato Musashi's Book of Five Rings, written by the legendary Japanese swordsman who remained undefeated, in which he discusses tactics for fighting, whether one-on-one, or one-on-many. Musashi's ideas are often in my mind when I'm writing battle scenes, of which there are quite a few in both Eden's Revenge and the final book, Eden's Endgame. Wars are often won or lost at key battles. But space battles have been done over and over again. How to make them fresh? One of Musashi's main principles was to know the ground you are fighting on. If you are on unknown ground you are at a disadvantage. So, I applied this to space. 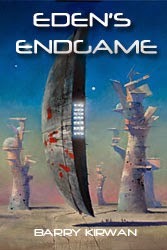 In Eden's Endgame, the invader Qorall comes from a galaxy where the environment is very different. He can manipulate space and gravity, creating distortions that defeat conventional weapons and also prevent hyper-spatial 'jumps' (aka warp travel). Qorall is a game-changer, and his so-called 'liquid space' presents real challenges to those trying to protect the galaxy. I was inspired, I have to say, by the Star Trek Voyager concept of fluidic space and Species 8742, who also come into our galaxy from another realm. At a more local level, humanity is holding up on a planet called Esperia. Qorall is intent on capturing Esperia, not because of us, but on account of another species cohabiting the planet, a spider race. But at the end of Eden's Revenge, Esperia is surrounded by a protective field of trip-wires half-embedded in sub-space, which means that most ships will not even detect them before the hidden filaments cheese-wire through their shields and hulls. But Qorall is not stupid, and sends the one race - the Mannekhi - who can navigate through this field of barbed wire, called a Shrell-field, named after the Shrell who weave these wires. 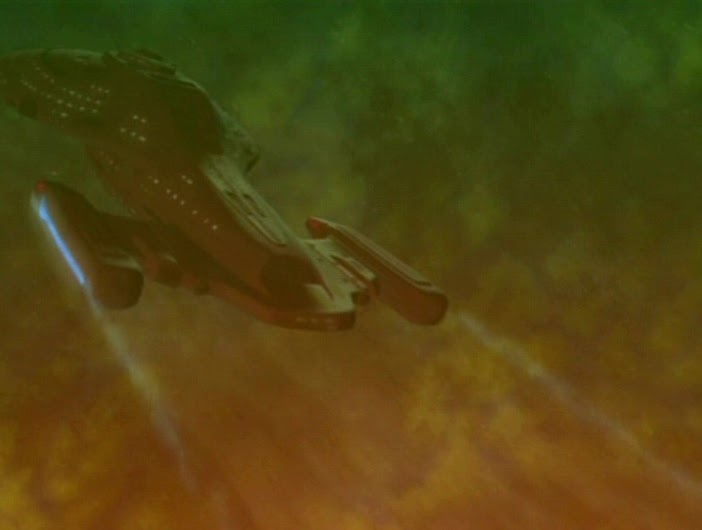 In the scene below, taken from a chapter in the second part of the book, fifty hostile ships are inbound. Standing in their path are two vessels, captained by seasoned warriors, one human, Kilaney, and one Mannekhi, Xenic, their role to defend Esperia and the last remnants of humanity. Fifty against two doesn't sound good odds, but like Musashi, they have plenty of tricks up their sleeves. But as in all real battles, there can be a heavy price to pay. Kilaney stared at the star-filled screen, squinting to see the first indication of inbound Mannekhi ships. The dull beat of the TACAS, a device to detect opening Transpace conduits, pulsed steady as a heartbeat. Kilaney knew he had to wait. He got up from his command chair on the Q’Roth destroyer, and turned around to check his crew at their stations. They were all Youngblood volunteers: Siras at the helm, Janine at Tactical, Willem at Systems, and Annie on Comms. Siras was the eldest at seventeen, Janine barely fifteen. Kilaney had taken Vasquez aside when he’d proposed them as skeleton bridge crew. He hadn’t answered. But watching them now, Kilaney had to admit they were all quick studies, having picked up the skills required to navigate and defend a mesa-class Q’Roth vessel in just a few days. Advanced spatial concepts that had taken him years to master were understood at the first telling by these Genned youngsters. He’d been unimpressed by Micah’s decision to allow the Genning of al human children. Now, for the first time, he could see the point. The inbound Mannekhi turned by Qorall were Level Six; with a normal human crew he’d be overrun quickly, but with Genners aboard he had a fighting chance. He returned to the command chair built for a Q’Roth general. The three metre recliner dwarfed him, made him seem like a child in an adult’s chair. But he used to be Q’Roth, and though he no longer possessed the six limbs necessary to make full use of it, he knew his way around its controls. He tapped a pad. “Xenic, any sign yet?” Kilaney glanced at a holo of the entire Esperian system covering twenty light minutes of travel. Xenic’s Mannekhi Spiker was closer to Esperia, embedded inside the Shrell field. Two ships against fifty didn’t seem like good odds. Kilaney wasn’t a fan of military epithets, but they were preferable to Xenic telling him to relax. The TACAS pulse increased in pitch and frequency. Then it jumped again, a harmonic of the original steady tone. The Mannekhi were close. Kilaney decided to air a question he’d harboured since Xenic’s arrival. In battle, your life depended on your brother-in-arms, and he had to know he could rely on the Mannekhi commander. Kilaney left it there. He spoke to Janine. “Prepare the Ricochet.” That’s what Kilaney had named it. Hellera had left it behind, cloaked in space until yesterday, when it had suddenly revealed itself, with a message for Kilaney. He’d seen one of these weapons in action before, when a Tla Beth had used it against Mannekhi Spikers. The trouble was, Qorall had seen it, too, and might have developed a counter-measure. Hellera’s message had said it had to be combined with surprise. 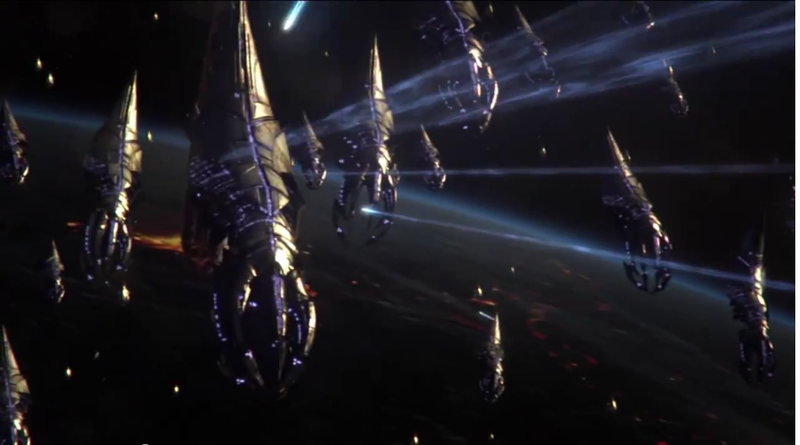 That meant hitting the enemy as they emerged from Transpace, when they would be vulnerable for a second or two. Kilaney had already primed it for Mannekhi ship signatures. Kilaney stared at the star-field again, small pinpricks of light, serene, innocent, passive. The TACAS kicked up an octave, the pulses much faster, separating into three closely-matched tones. The TACAS was only approximate; it was difficult to predict exactly where and when ships would emerge from Transpace, but it already told him the Mannekhi attack plan. At first he couldn’t see the Ricochet’s trajectory, since the studded black sphere had no after-burn, but Willem was able to track it via its transponder, and Annie overlaid its course on the star-field. The TACAS pitch ramped up again, a shrill whine. He shook his head. The Ricochet accelerated. Where were the Mannekhi ships? Come on. He only had one Ricochet, one shot. The sphere reached the designated area and slowed down, then stopped. Kilaney breathed a sigh of relief. Smart boy! The Bridge was filled with the TACAS alarm, when suddenly it shut off. As Kilaney had hoped, in the area where he had seen the bow wave of the Transpace conduit, ten ships, stretched cones of silver, sprang into view, popping back into normal space-time. He barely had time to make out any details before the Ricochet flared into action. A beam struck one ship, then bounced onto another then another. Within a second, a lattice of orange fire connected all ten ships. One by one they burst into crimson flame then snuffed out. Almost immediately the second wave arrived, this time twenty ships. The device fired at the first ship, but it alone was damaged. No ricochet effect. 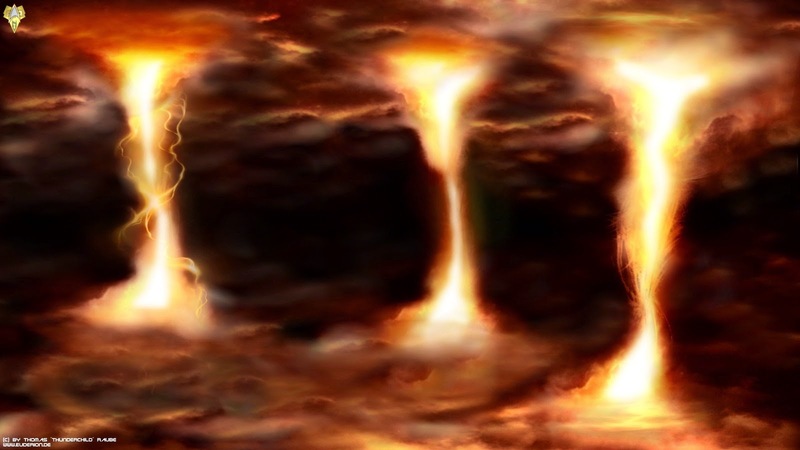 The other nineteen fired purple beams at the sphere, which exploded silently; shreds of orange splattered across a vast area of space before they dissipated. The nineteen ships charged onwards, heading straight for Kilaney. The final wave of twenty ships burst into the sector. “Back to the Shrell field,” Kilaney said to Siras. The destroyer leapt forward in a single short-system jump. A holo showed a sideways view of the approaching fleet, and the Shrell field with Esperia at its core. The Dropships spread out, a hundred kilometres apart, streaming towards the field. He approached the holo, held out his hands, and flipped it around to get a frontal view. The Dropships were in concentric ring formation: the first ring comprised three ships, the next ring seven, the two outer rings twelve and seventeen respectively. But they were staggered, and they had shields. No beam could hit more than one ship, and no detonation from any of the weapons he had aboard had an effective blast radius larger than fifty kilometres against a shielded ship. The enemy had done their homework. “Take us out of their path, Siras,” he said. The helmsman complied, asking no further questions. The Dropships seemed uninterested in deceleration, despite the fact that they could almost certainly see the Shrell wires that would razor through any ship, shielded or not. He watched as the first few Dropships neared the densely packed field that made him think of a ball of barbed wire. Halfway between the outside of the ball and Esperia was Xenic’s ship. But the Dropships were designated Javelin Class for good reason. Travelling point first and at high speed, they were difficult targets, like trying to shoot at an arrow flying towards your face. Still, he would stick to the plan, because he had no better idea. If he’d stayed in their path, he’d have probably taken out three before the others blew him to smithereens. The first five ships flew straight into the field like needles. He watched the holo, and waited until more than half the ships had entered. Although the destroyer was half a kilometre long, it could move very fast in open space, and its inertial dampers worked just fine. Kilaney collapsed the holo with his hands, and got back to his chair. The destroyer plunged into the Shrell field. Siras made fine adjustments that Kilaney knew no ungenned pilot could manage at this velocity, even in a smaller ship. A wash of yellow spurted ahead of them as Janine ignited the main particle cannon, and it gushed forth the heat of a sun’s core, seeking out the rear of the Dropships. Within thirty seconds Kilaney counted five hits. The others accelerated to get out of range, just as Xenic had said they would. The destroyer accelerated, the forward view snapping to and fro even though Kilaney felt no movement. Then there was a grating noise and a jolt. More clanks, and two more hits. Make that three; no, four. The Dropships were shifting to try and escape, but Siras clung to them. And then Kilaney saw it – a funnel of wires dead ahead. The Dropships slipped through, but they were much thinner… The bastards had lured him into a trap. Dammit, these Mannekhi knew their way round a Shrell field. His destroyer raced towards the wires. He gripped the arms of the chair. A glistening cocoon ballooned around Kilaney and the chair, snuffing out all noise. Kilaney had forgotten about it, a device on Q’Roth ships to protect the commander, in case… He tried to stand up but the bubble didn’t give him enough room. The destroyer braked hard but there was no saving her. The end of the funnel rocketed towards them. He turned to see Siras hunched over the controls, trying to minimise the impact – no, he was trying to save his commander. The other three also worked feverishly, despite knowing they were about to die. The upper half of the Bridge was shorn off, and Kilaney found himself hurtling through space in the bubble. It rolled, and he saw his ship carved into chunks, like meat through a grinder. He could no longer see the wires; this was an escape pod, nothing more. He tried to catch sight of his crew, but he was already too far away, and the ship fragments sputtered briefly with violet flame before going dark. He saluted his crew, intoning each of their names. As he continued to sail forwards at speed, he toggled the chair’s inertial controls to stabilise the bubble and orient his view towards the planet, the remaining Dropships, and Xenic. Now it’s up to you, my friend.